It's big, it's bold and it's not for the faint of heart. The Hublot King Power doesn't seek attention, it demands it. 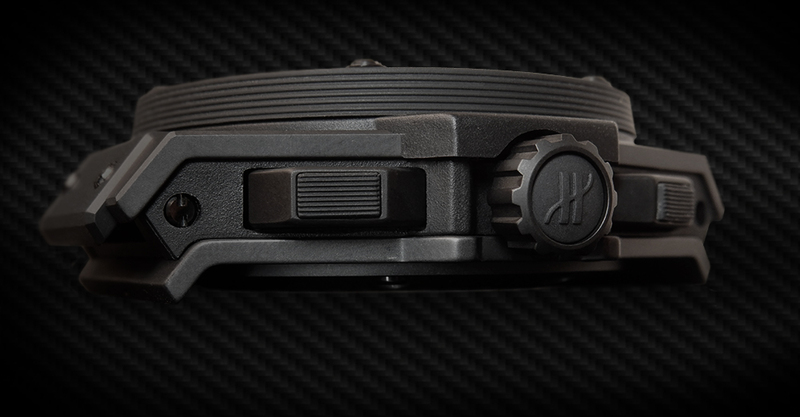 Spanning 48mm, it has a wrist presence worthy of its moniker. But the King Power is not just another pretty case. Sharing the same DNA as its sibling Big Bang, the King Power is a brilliantly engineered design whose complexity is inextricably tied to the core business model and the marketing prowess that defines Hublot. Surprisingly, the King Power feels relatively light and comfortable on the wrist. 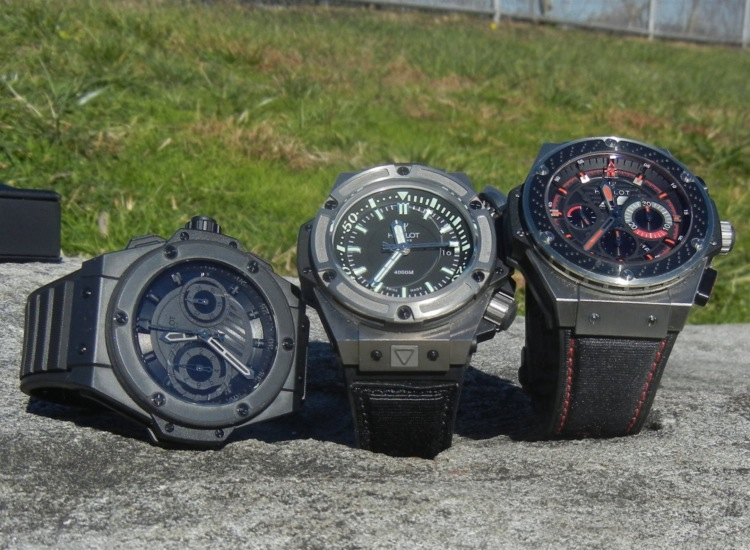 With three King Powers in my collection, they currently command about 75 percent of my wrist time. After years of wearing these massive timepieces I've come to the conclusion that they're not too big; it's just that everything else feels small. 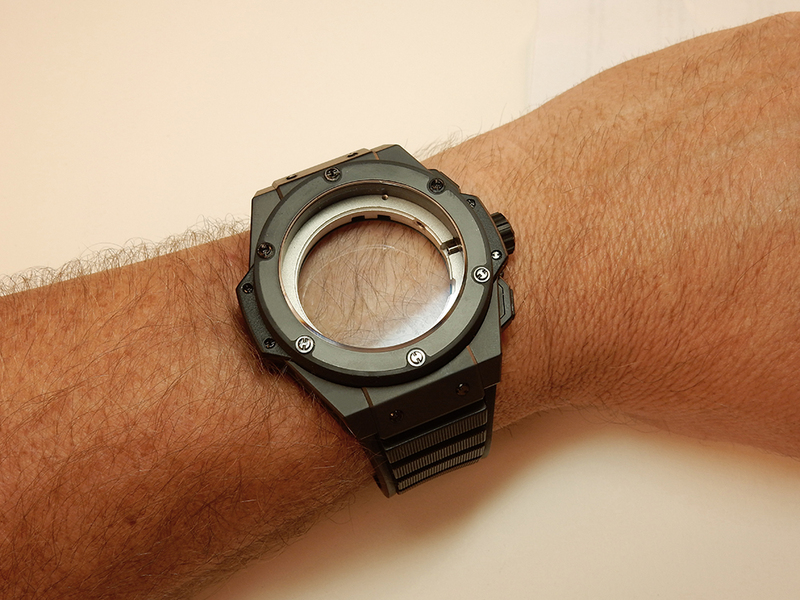 I asked Hublot Chairman Jean­‐Claude Biver what prompted such an unorthodox design. According to Biver, it was "just an inspiration by the [previous] Hublot watch and Hublot rubber concept, which I translated into fusion, a fusion I wanted to have in the watch." "In order to achieve this, we had to create a case that would accept a variety of colors and materials," Biver said. "That's how the construction of the Big Bang was born." Comparing the King Power to the Big Bang, Mr. Biver pointed out, "It's the same construction, just stronger and more macho than the Big Bang." 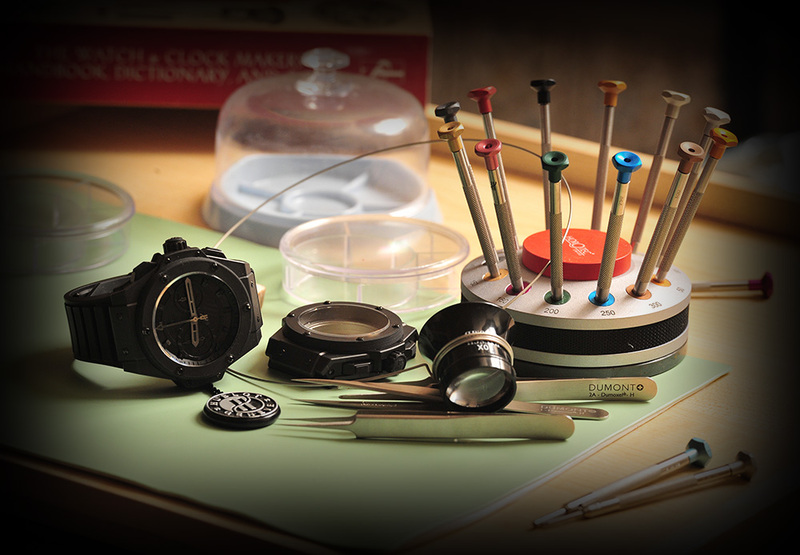 Having assembled a King Power during a recent event at Hublot's Madison Avenue boutique, I returned home determined to do a post focusing specifically on the design and technical achievements of the KP case. Hublot of America graciously provided me one of their demo King Power cases and a trio of screwdrivers created for their iconic "H" screws. Lights! Camera! ... Let's do this! 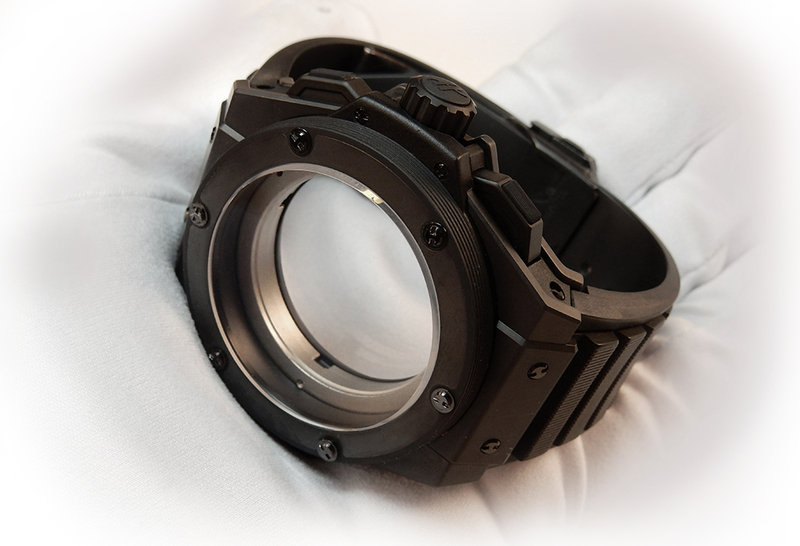 By design, everything about the King Power [and Big Bang] case is complicated and deliberate, requiring new and innovative manufacturing and assembly processes to accommodate the intricate design and multifarious mix of exotic materials. By my count, there are about 76 parts total in the case alone. 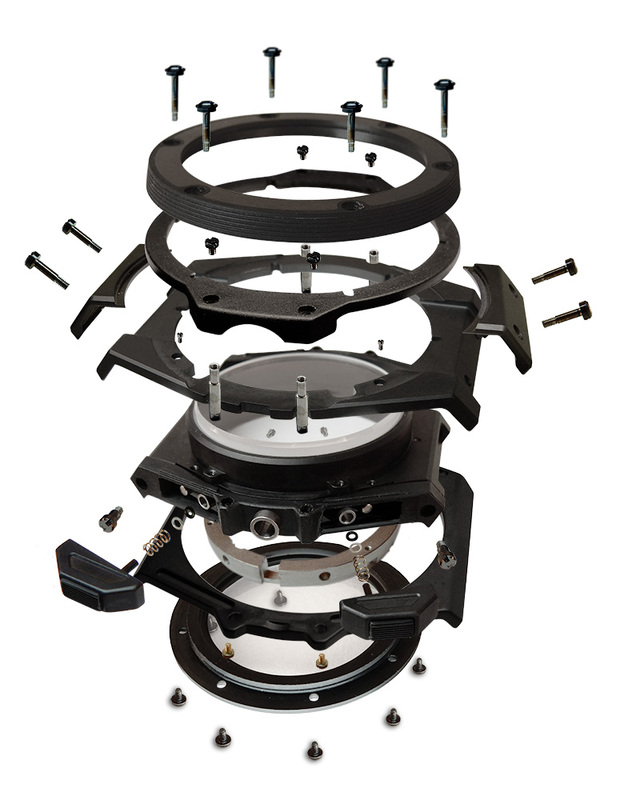 With 42 components bound by 34 screws, it is one of the most complex case designs available. Part of keeping the weight down is the result of the King Power's most significant component referred to simply as the "container." The container provides a platform to which all other parts are attached. 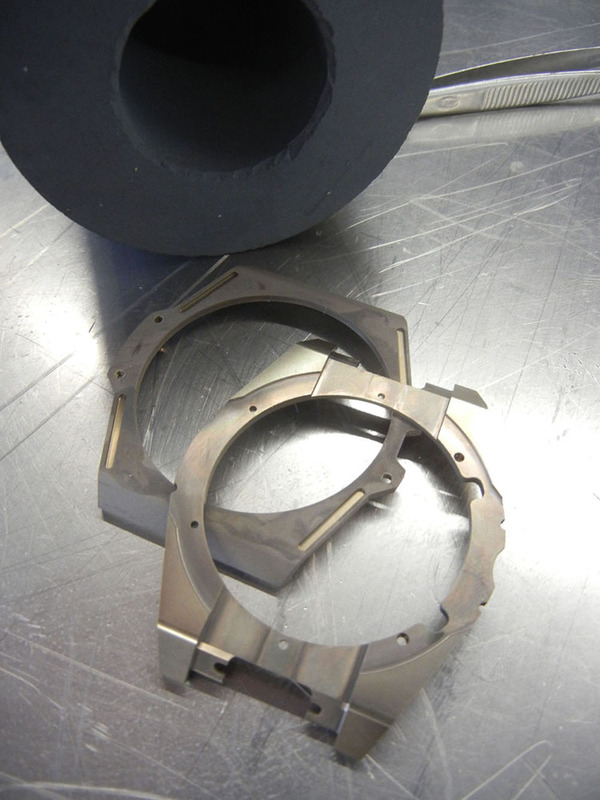 Although it's the largest component in the case, it is completely hidden from view in the finished watch. Behind the scenes, this invisible component provides the bulk of the KP's structural integrity. 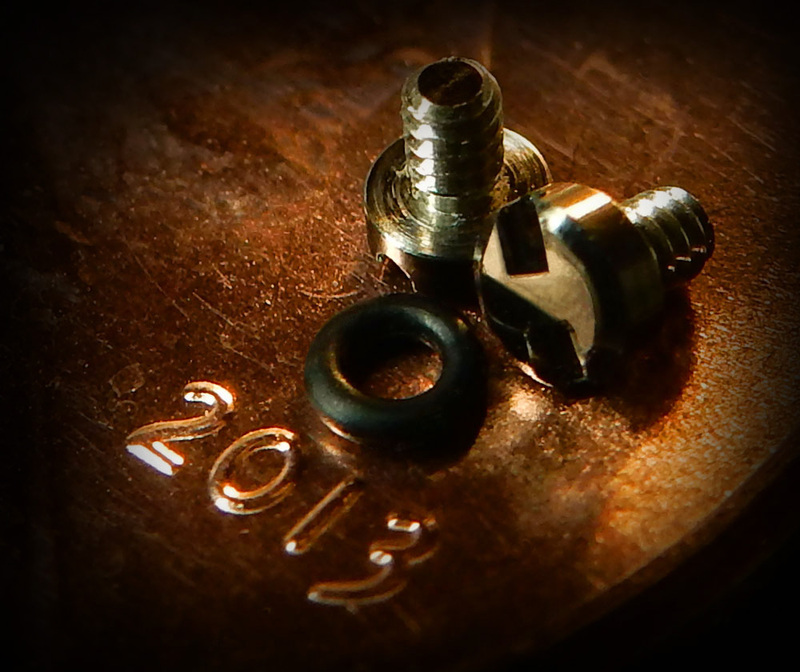 Whether you choose a King Power in Gold, Ceramic, Carbon Fiber or other material, they all share the same container, meticulously machined from titanium, not forged from more common steel. The most obvious benefit of this multi‐part, mixed­‐material case is its visual impact created by the "fusion" of ingredients combined to produce a modern, innovative look that challenges traditional case design. 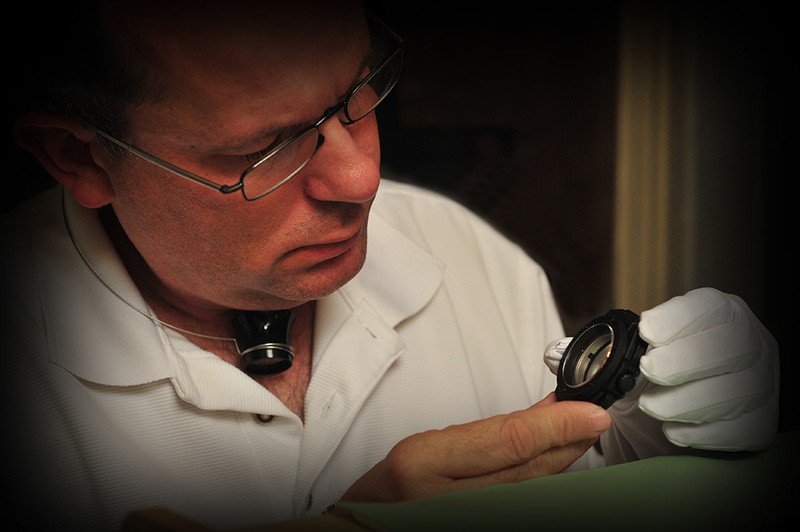 When asked if there were any external design influences, Biver referred back to the original Hublot watches. "There were already enough influences and difficulties to achieve what we did," he said. Also, by creating a multi‐component case, individual elements can be readily changed to create different themes without affecting the fundamental (and iconic) design. In less than ten years since the introduction of the Big Bang, literally hundreds of variations of the Big Bang and King Power have been produced, most of them as limited editions. Finally, should a case become damaged, only affected components need be replaced. 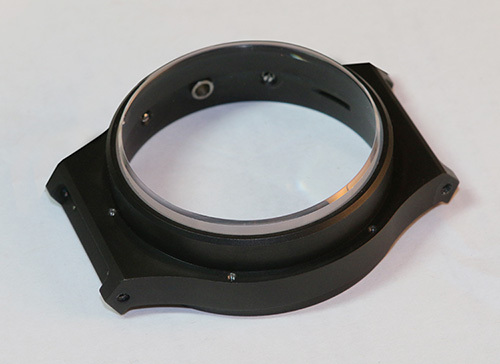 In fact, most parts of the King Power case can be replaced without having to open the case or remove the movement. 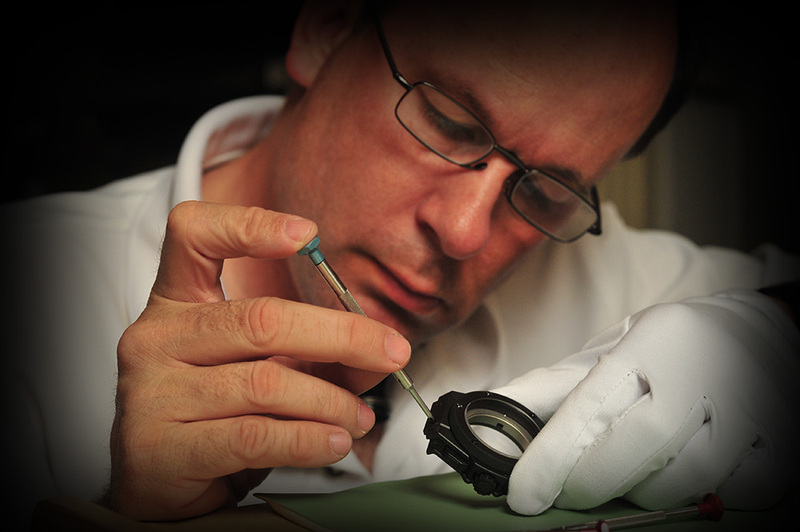 With all of the different materials used by Hublot, it's surprising to find how many of them are produced in‐house. "We produce the 18 carat Magic Gold in house, some normal 18 carat Big Bangs, carbon cases, magnesium cases, titanium as well as some of the ceramic cases," said Biver. "And once we finish construction of the new building, we will significantly increase the number of cases we build in‐house." 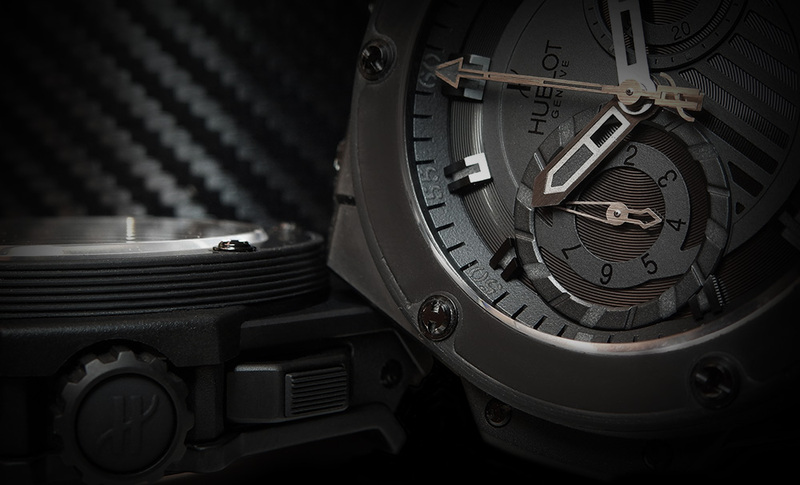 In addition to ceramic, carbon fiber and exotic case metals, Hublot also takes advantage of Kevlar, a black composite resin containing carbon fiber that is best known for it's anti­‐ballistic properties. As Biver pointed out, "Kevlar is a very hard material used in technology as well as the space industry. Therefore we believed it should also be used in the Big Bang [and King Power]." 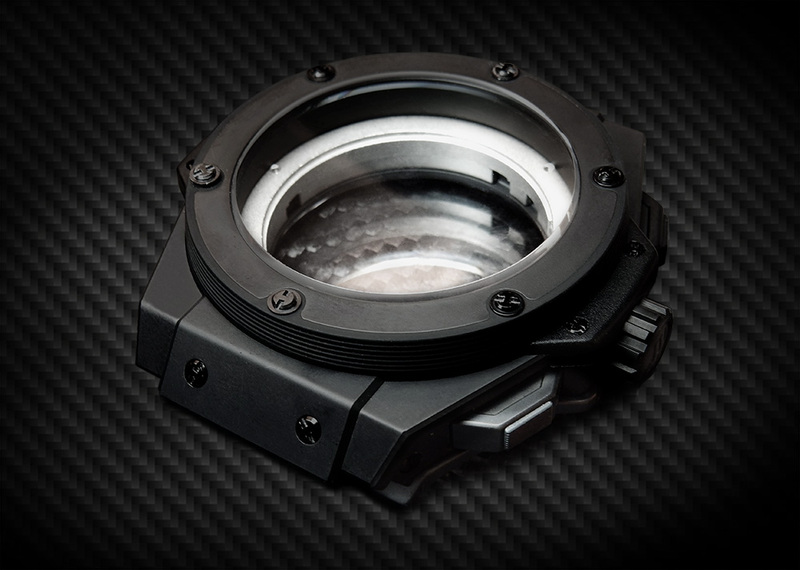 With Hublot, cases are clearly not an afterthought. Even the "fusion" of rubber and exotic materials barely scratches the surface of the genius of their designs. (In the case of a ceramic KP, you're not even scratching that!) Individually, no single part of this case is necessarily attractive. It's the "Gestalt," however, the visual union of these parts that creates such a powerful impact. With more than a hundred King Power models released since 2009, the design of this case ensures countless possibilities for future models. It's safe to assume we will see even more creative use of materials as the line continues to evolve. With so much emphasis on movements, it seems that cases often get overlooked. 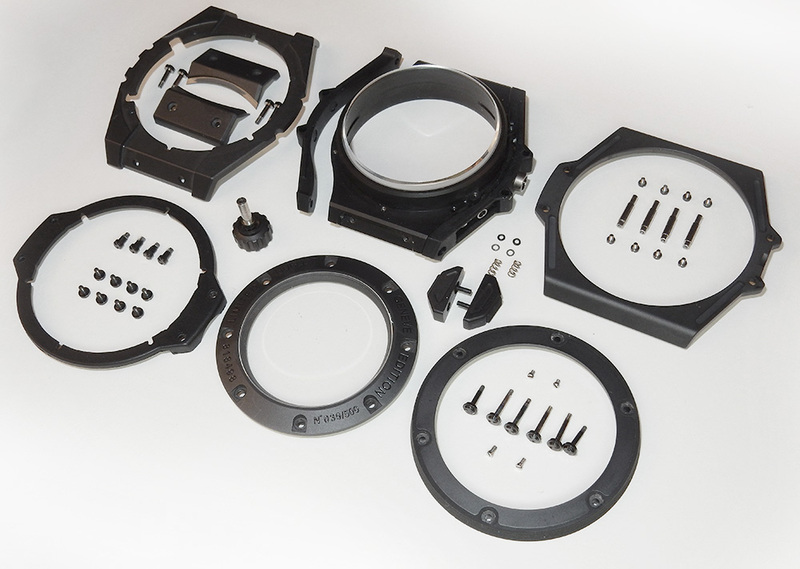 Few companies have demonstrated the fortitude to invest in and endure the design and technical challenges of designing such a case. Innovation demands a different methodology that breaks from tradition and Hublot accomplishes this by taking a holistic approach that considers every aspect of their pieces. With my demo case once again assembled, all that's left is to add an in­‐house Unico movement along with some of Jean­‐Claude Biver's marketing mojo and it's easy to appreciate how this brand evokes such passion from its owners.